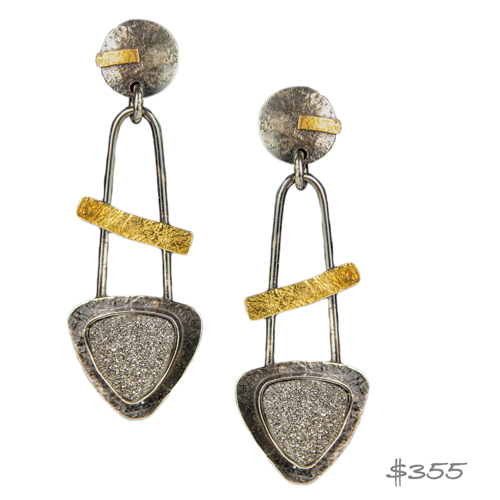 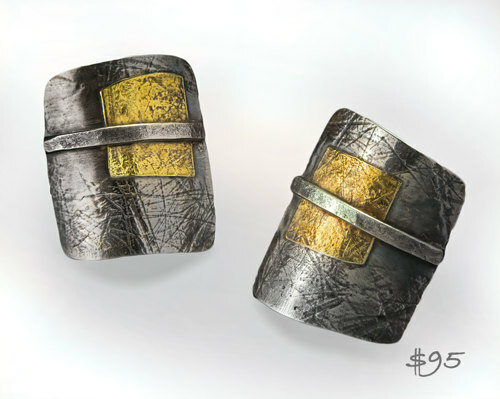 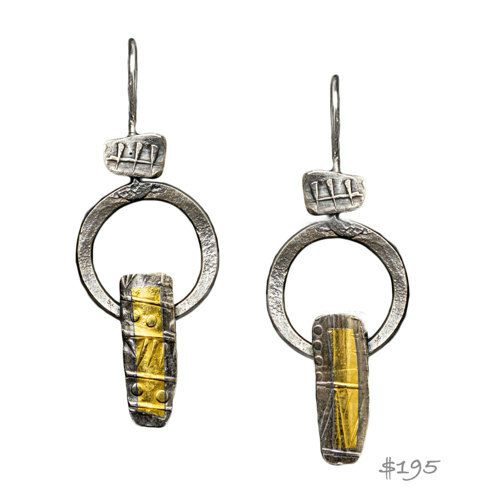 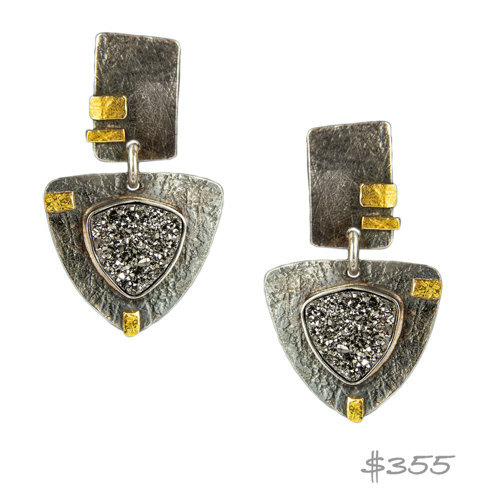 Silver and gold make a bold statement with this lightweight and unique style. 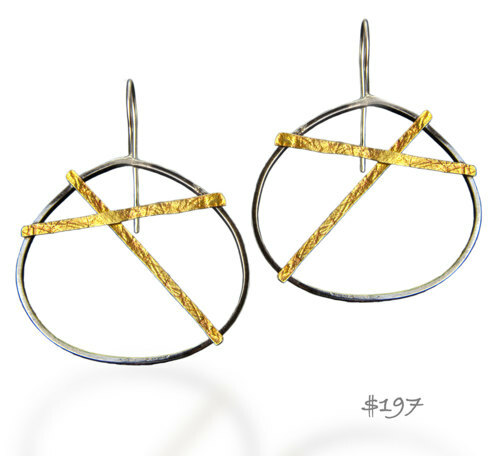 Measurements are from the top of the earring wire. 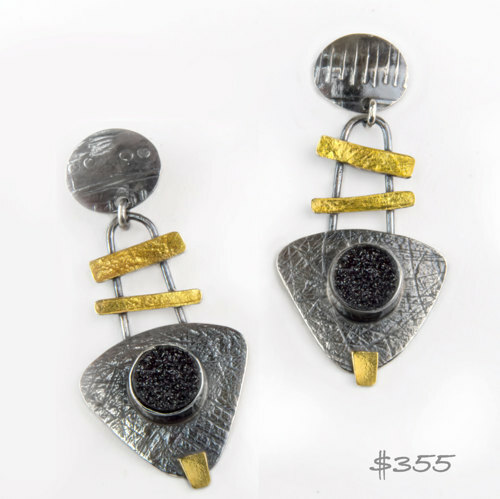 Easy style in silver and 22K gold these are 2" from the top of the ear wires.